Triple Digits = Triple Up on Refreshing Whites! Stock The Fridge – Here Comes the Heat! How quickly the weather changes around here. 2 weeks ago it was 63 and raining and now it looks like we’re gonna see triple digits a couple of times this weekend. That means you’re going to be raiding your fridge, so we want to make sure you have enough white and pink wine to get you through. Stop in today or Saturday, have a cold glass of something at the bar and take home your favorites. We’re pouring 2 whites and a Rosato all weekend. 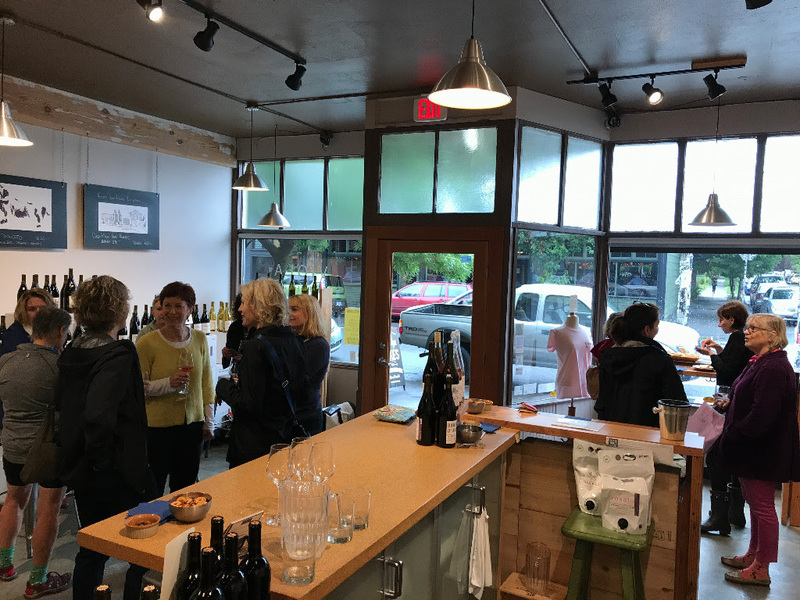 VIOLA CLUB MEMBERS – some of you still have wine to pickup, so if you haven’t gotten your Sailor Sangiovese and Bianco d’Allegre yet, stop in soon and grab your new releases. They just might save you from the heat wave ahead. SUMMER HOURS – Starting in a few weeks, we’ll go back to Friday hours only, so please take advantage of the extra Saturday hours for the next 2 weeks to stock up for Summer. PRIVATE PARTIES – We always love hosting private groups for tasting parties, like this one last week. We are available any day of the week and it’s always chilled inside so you don’t have to worry about the Summer heat. If you want a cool spot for your next get-together, please keep us in mind. Reasonable rates, discounts on purchases and light food options available. Email me for specifics. 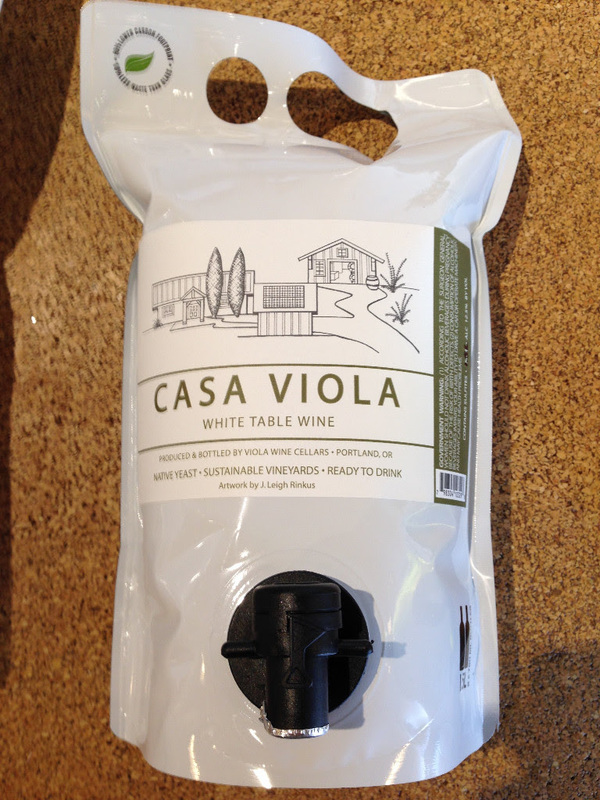 If you’re a fan of hiking, backpacking, camping, picnics in the park, concerts in the Gorge – any of these outdoor activities where carrying a bunch of bottles of wine can be a hassle, don’t forget that we have 3 liter bags (that’s 4 bottles worth) of our Casa Viola White available. I’ll be bagging up more in anticipation of the July 4th weekend too, including some red wine for anyone who pre-orders it by Wednesday June 28th. Send an email with your order request if you want some of the first batch as they will sell out quick! (Hint – click on the email link for pricing). ORDER ONLINE Did you know you can just go to our website, click on the wines you want, submit your order and then come and pick it up when the shop opens? If you’re pressed for time but know what you want, try it the next time and we’ll have your order waiting to load into your car. Find the current wines online here.